This survey aims to highlight some interesting ideas in Topological Quantum Error Correcting Codes, without assuming background in topology, quantum mechanics, or error-correcting codes. Here we only attempt to present one slice of a very large field, starting from scratch and building up to quantum surface codes. We will emphasize connections to classical coding theory along the way. We start by reviewing some classical coding theory, then introduce the quantum setting, and attempt to “lift” our understanding from the classical case. We will see several examples of quantum codes, and constructions similar to surface codes. 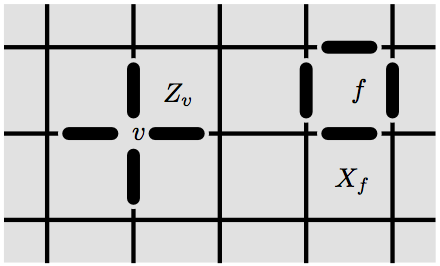 Following Part I, here we present and analyze topological surface codes. We will see how they inherit some ideas from CSS codes, and leverage topological properties to achieve good distance. We also include a discussion about some subtleties of quantum mechanics, and a sketch of logical operators on codewords.